With the recent hacking issues that have plagued both Facebook and the government, the need for improved focus on cybersecurity has never been greater. The issue with hackers is not simply a problem for the IT department. It is a problem for businesses in general as these attacks tend to want to harm companies and governments as much as they want to steal data and intellectual properties. This struggle is an ongoing, neverending battle and entities, both government and business, should take steps to fortify their cybersecurity. The key with any cyber defence starts with developing the right circumstances for an individual situation. That means identifying what information may be at risk and how it may become compromised. Generally speaking, policies need to be developed to outline how information moves within the work environment and which hardware has access to it. 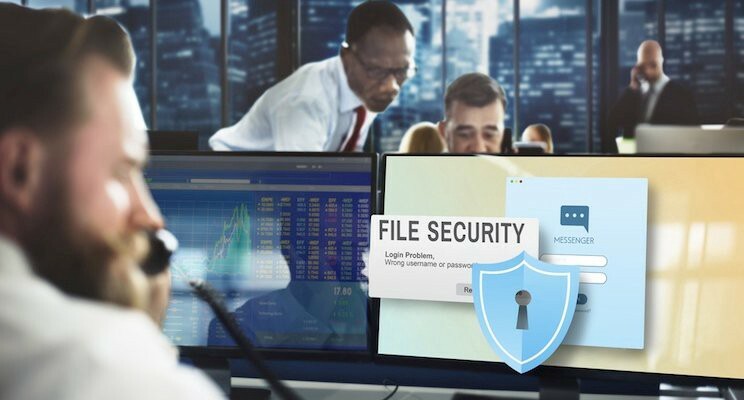 Policies should include things such as employee usage, risk management, be developed recovery, and what steps to take in the event of an intrusion. Tools are necessary to keep your cybersecurity state at an optimal level. This means encrypting data and emails both onsite and in the cloud. Since mobile devices are a big part of both personal and business life, a system to ensure that all mobile devices used within the business environment are both secure and accounted for with the means to track each one’s activity. Policies are abstract so companies and business entities will want to implement an cyber security maturity assessment to test their security and identify any places that need to be strengthened. Since human error is a big part of security leaks, a large amount of time and focus should be spent educating and training staff on security protocols and practices. A business environment with a strong emphasis on security by those at the top will have a cascading effect on all employees. Cybersecurity is an ongoing struggle. To stay ahead of cybercriminals, companies and governments must consistently examine their policies and practices, adapting them when necessary.